Do you know how to recognize a robot? 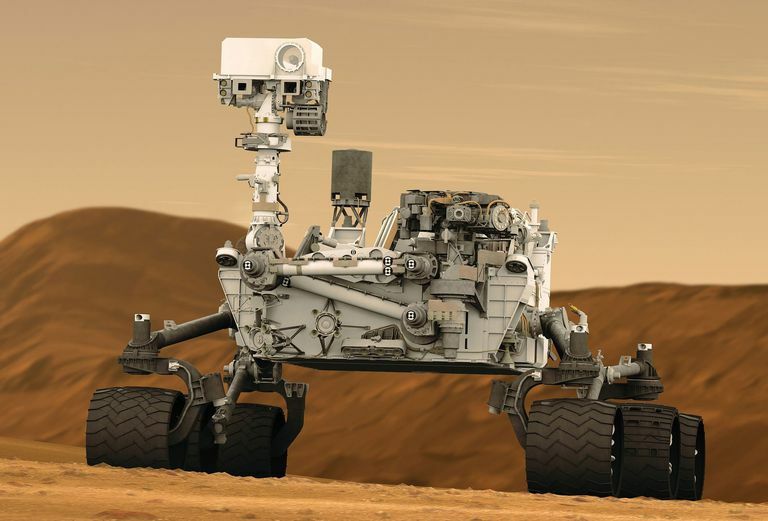 Robots, such as the Mars Curiosity Rover can be used to investigate places that are dangerous for humans. Courtesy of Pixabay / Creative Commons (CCO). The word "robot" isn't well defined, at least not presently. There's a great deal of debate in the science, engineering, and hobbyist communities about exactly what a robot is, and what it is not. If your vision of a robot is a somewhat human-looking device that carries out orders on command, then you're thinking of one type of device that most people will agree is a robot. It's not a common one and not practical yet, but it makes a great character in science fiction literature and movies. Robots are much more common than many people think, and you're likely to encounter them every day. If you've taken your car through an automatic car wash, withdrawn cash from an ATM, or used a vending machine to grab a beverage, you may have interacted with a robot. So, What's the Definition of a Robot? Most people can agree that a robot is a machine that carries out a series of actions automatically and is typically programmed by a computer. While this is one working definition, it allows for many common machines to be defined as robots, including ATMs and vending machines. A washing machine also meets the basic definition of being a programmed machine; it has various settings that allow the complex tasks it performs to be altered to automatically as it performs a task. No one thinks of a washing machine as a robot. Additional characteristics differentiate a robot from a complex machine. Chief among these is that a robot is able to respond to its environment to alter its program and complete a task, and it recognizes when a task is complete. The Definition of a Robot: "A machine capable of responding to its environment to automatically carry out complex or repetitive tasks with little, if any, direction from a human being." Industrial: Robots were quickly put to use in industry, beginning with Unimate, a robot designed by George Devol in 1959 for General Motors. Considered to be the first industrial robot, Ultimate was a robotic arm used to manipulate hot die-cast parts in automobile manufacturing, a task that was dangerous for humans to perform. Medical: Robots in medicine perform a wide range of tasks, including performing surgery, assisting in rehabilitation, or automatically disinfecting hospital rooms and surgical suites. Consumer: Perhaps the best-recognized household robot is the Roomba vacuum cleaner, which automatically cleans the floors around your house. Along the same line are a number of robotic lawn mowers that keep your grass clipped for you. Robots you didn’t know were robots: The list contains robots you come across every day, but probably don’t think of as robots: automatic car washes, speeding or red light cameras, automatic door openers, elevators, and some kitchen appliances. Modern robot design, known as robotics, is a branch of science and engineering that makes use of mechanical engineering, electrical engineering, and computer science skills to design and build robots. Robotic design encompasses everything from designing robotic arms used in factories to autonomous humanoid robots called androids that are synthetic organisms that replace or augment human functions. Leonardo da Vinci engaged in robotic design. Leonardo's robot was a mechanical knight capable of sitting up, waving its arms, moving its head, and opening and closing its jaws. In 1928, a robot in humanoid form named Eric was shown at the annual Model Engineers Society in London. Eric delivered a speech while moving its hands, arms, and head. Elektro, a humanoid robot, debuted at the 1939 New York World's Fair. Elektro could walk, speak, and respond to voice commands. A robot must obey the orders given it by a human being except where such orders would conflict with the First Law. Forbidden Planet, a 1956 science fiction film, introduced Robbie the Robot, the first time a robot had a distinct personality. Star Wars and its various droids, including C3PO and R2D2 are familiar characters on any list of robots in popular culture. The Data character in Star Trek pushed android technology and artificial intelligence to the point where some viewers wondered when does an android achieve sentience? Robots, androids, and synthetic organisms are all devices created to assist humans in various tasks. Anyone who follows the news relating to robots may realize that it won't be all that long before everyone has a personal android to help them through the day. What Is a CAPTCHA Test? How Do CAPTCHAs Work?